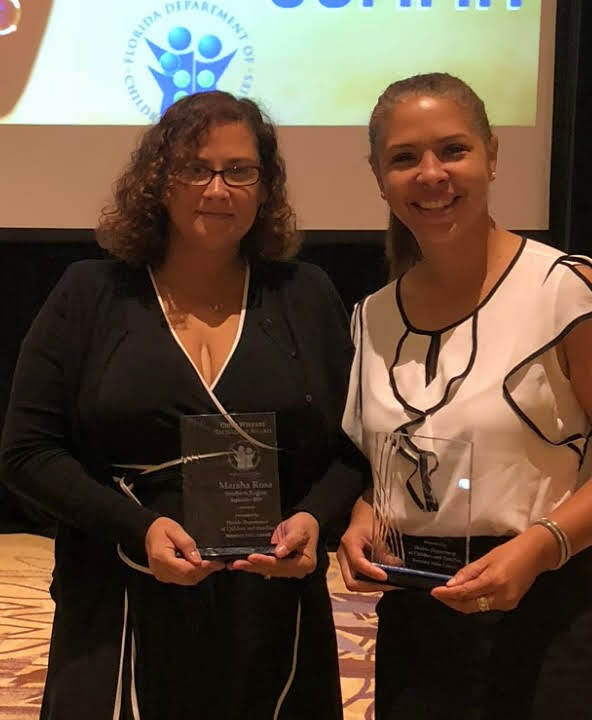 Citrus Health Network’s Dr. Beverly Jean-Jacques and Marsha Rosa, LCSW were recognized by the Florida Department of Children and Families (DCF) as recipients of the Child Welfare Excellence Award at the 2018 Child Protection Summit. Dr. Jean-Jacques is a Clinical Psychologist and the Clinical Supervisor of Citrus Health Network’s Families Together Team (FTT), and Ms. Rosa is a Licensed Clinical Social Worker and therapist for FTT. FTT provides Intensive Family Preservation Services for families with an open DCF Child Protective Investigation determined to be unsafe and/or at high to very high risk of future child maltreatment. The team focuses on preventing future child abuse and maltreatment by strengthening protective factors, enhancing social and emotional well-being of each child, enabling families to use available resources, and assisting families with creating or strengthening their resource networks. 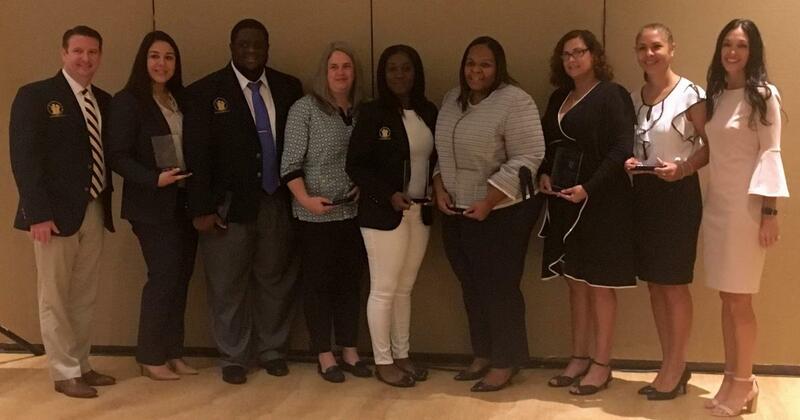 Additionally, Citrus had several presenters at the 2018 Child Protection Summit held in Orlando from September 5, 2018 – September 7, 2018. Dr. Kimberly McGrath, Clinical Supervisor for Citrus’ foster care programs, and Dr. Gihan Omar, Clinical Supervisor for Citrus’ Children’s Crisis Response Team, presented with DCF’s Statewide Human Trafficking Prevention Director Bethany Gilot on exploring the needs of Commercially Sexually Exploited Children across systems of care. Susana Montalvo, LMHC, CST, CTCT, Clinical Supervisor for the Citrus Community Action Treatment (CCAT)Team presented with representatives from other CAT Teams from around the state. Ms. Montalvo and her co-presenters offered an overview of the CAT program, including delivering community mental health services and supports through a team, while incorporating effective community-based treatment approaches.